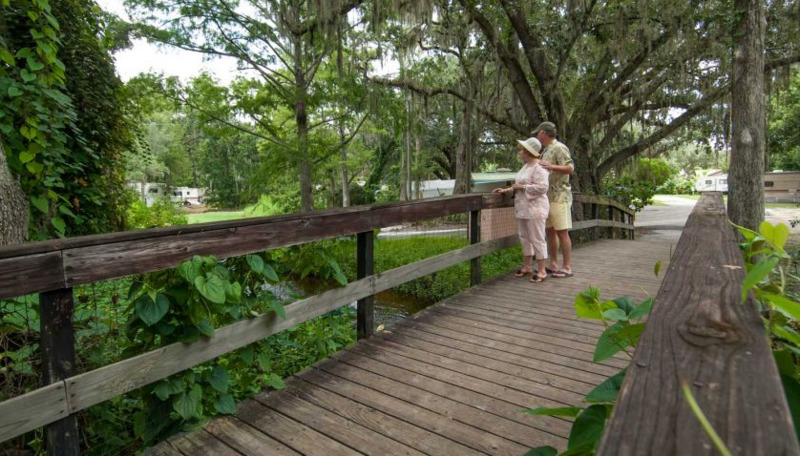 Nestled alongside wooded creek banks, Mill Creek RV Resort provides family-friendly accommodations just over 10 miles from Disney World. Our resort community spends time together with bingo games, craft-making, country music nights, potluck suppers and pancake breakfasts. 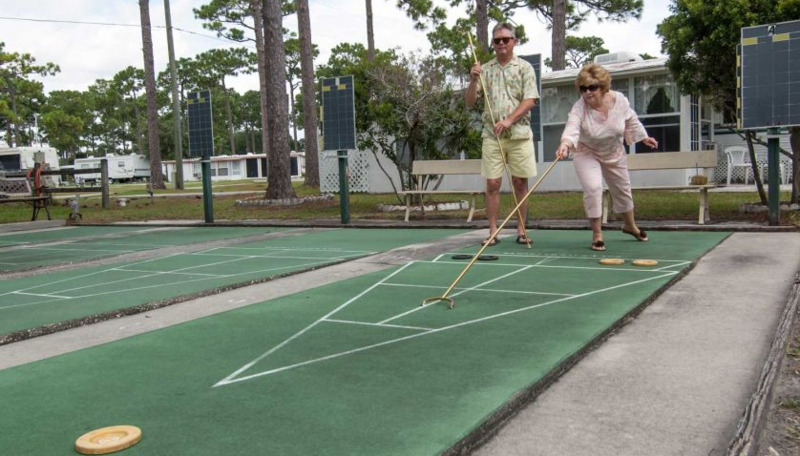 There’s even more family fun to be had in our heated pool, on our shuffleboard courts, at the billiards table and with our horseshoe pits. Our clubhouse features a small kitchen and a small, complimentary library. 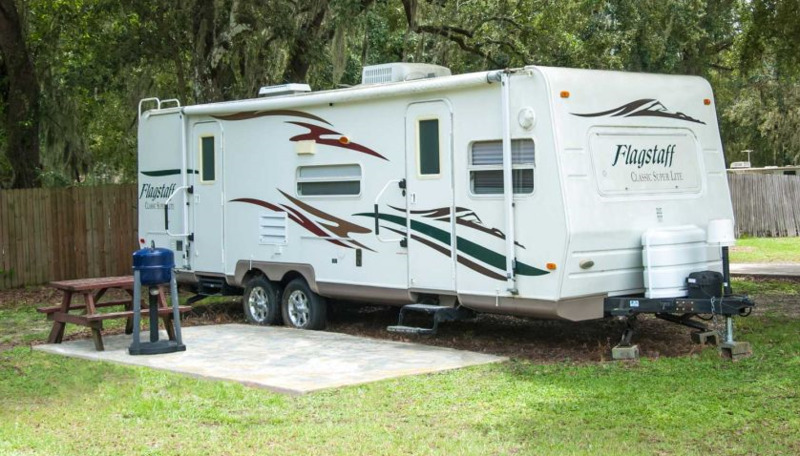 Convenience is key at Mill Creek, and our Orlando RV park has two on-site laundry facilities and every RV site is no more than 100 steps away from one of our three bathhouses. Our 150 full hookup sites all feature a concrete patio a private picnic table – perfect for a little afternoon grilling on your own charcoal or gas barbeques. 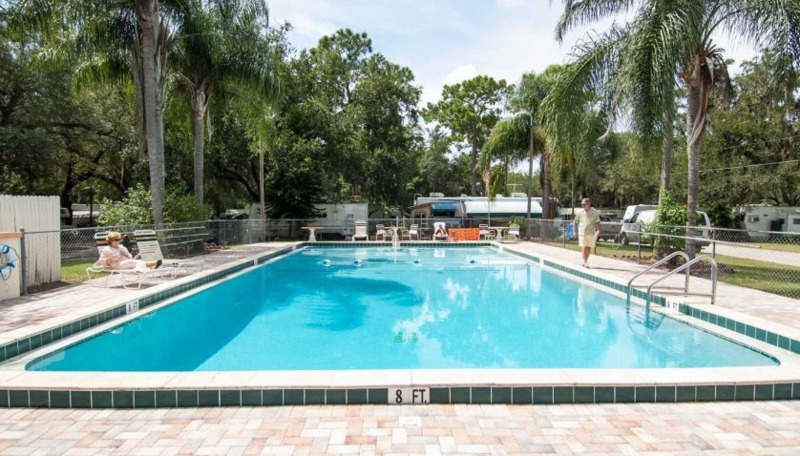 Only minutes away from the Orlando International Airport and all of the Orlando area theme parks. 10 minutes from Disney World®. Natural Florida resort on 100-acres of beautiful lakefront. We rest on beautiful East Lake Toho with awesome fishing. The only campground that’s in the middle of Walt Disney World®. On 740-acres, we are the perfect combination of the great outdoors and the comforts of home. Enjoy pools, boating, biking, horseback riding, Chip & Dale’s Campfire Sing-a-long and more. Less than 20 miles from Walt Disney World®, SeaWorld® and Universal Studios®, we are conveniently situated among your favorite Orlando attractions. 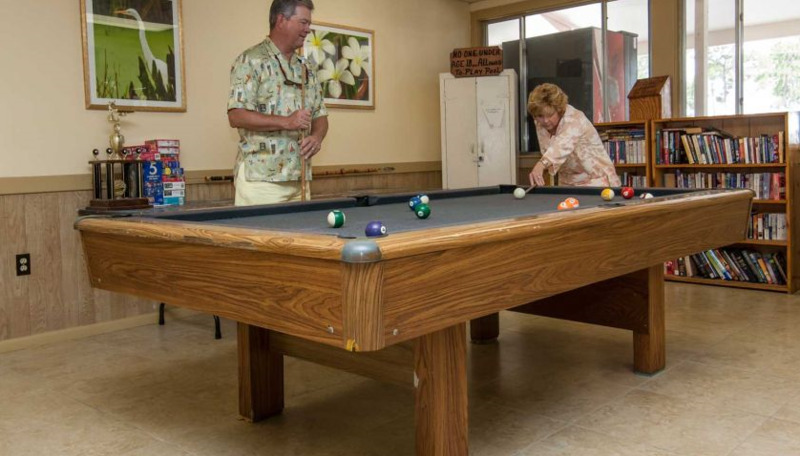 You can also enjoy our extensive recreational activities, including two heated swimming pools, a whirlpool/spa, kiddie pool, volleyball, basketball, recreation hall, on-site activities and events and more!